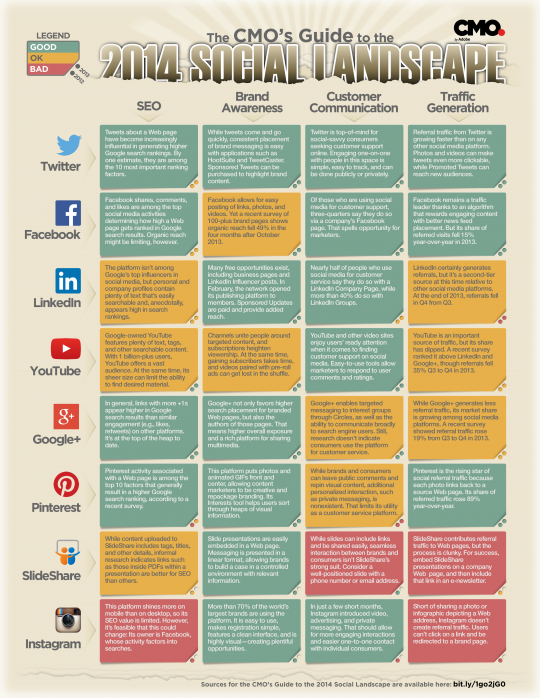 This infographic is a guide to the CMO’s social landscape. It shows what aspects different social networks are good for. CMO.com by Adobe delivers marketing insights, expertise, and inspiration for and by digital marketing leaders.